First, you will need to have a business tax ID in order to get paid from affiliate programs. Most will allow you to get started and will deposit funds to your online account or portal with them, but they will not actually deposit funds to your bank account until you fill out the necessary tax information. Some bloggers opt to do a simple DBA, others take it a few steps further and establish an LLC. I recommend speaking with your accountant and lawyer to determine what will be best for you. Next, you need to create a bit.ly account which will allow you to shorten links on social media sites like Twitter and Facebook. The way this works is simple; copy the link created from your affiliate program, paste it to the bit.ly site and then paste that new bit.ly link to your page. The great thing about bit.ly is they track clicks for you. You can see exactly how many people clicked on your links without having to use Google analytics. For example, I will generate several bit.ly links for the same affiliate link on each of my social sites so I can track which is performing better. Bit.ly is user-friendly and has helped increase my overall income, especially from those posted on Facebook. Another tip when using affiliate links on Facebook is to make sure you read up on Facebook’s terms & conditions. It is perfectly okay to use these links; however, you do need to let your audience know that you may receive compensation if they click through. In the long bio section of my blog Facebook page, I make sure to specify my use of affiliate links on my page, but that all opinions are my own. 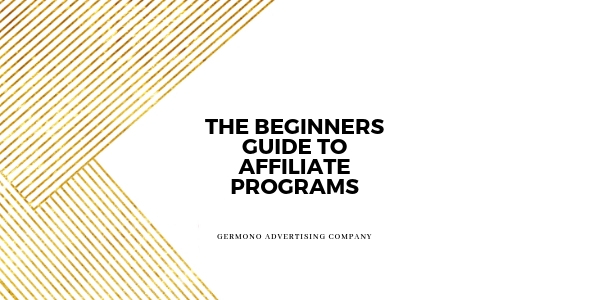 My last tip when first getting started with affiliate programs is to only pick one program first. Try that program out for a month or two to see how you like it and to determine what works best for you. Once you are comfortable, you can start layering in other programs. I use Share-A-Sale (which pays great!) and Shop Style Collective which focuses on fashion, beauty, and home decor items. What one site doesn’t provide for me, the other does. I am now able to link almost all of the products I blog about back to an affiliate. Some sites will pay per click and a commission on items, others will be solely commission so make sure understand exactly how you are getting paid.